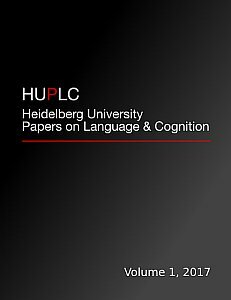 HUPLC covers a broad range of approaches to the study of the representation and processing of language, including language production, language comprehension and language acquisition, as well as the interrelation of language and other cognitive domains. HUPLC is an open access peer-reviewed online journal that aims to publish theoretical and experimental work fast. For more information, see the focus and scope section.